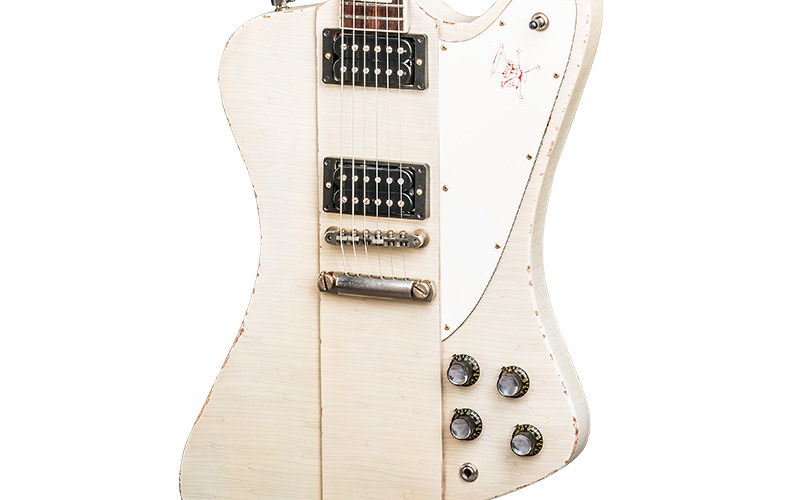 "Everybody loves the Firebirds," says Slash about his two new signature Gibson Custom models, the prototypes of which he used on tour for the last year. 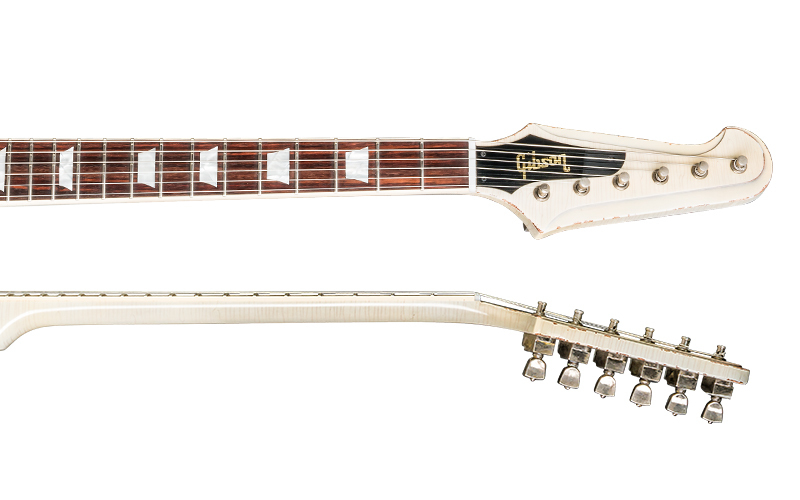 They are a radical departure from the Les Pauls he is known for, yet Slash wanted many Les Paul elements included on this model including humbuckers, historic Les Paul wiring and pickup spacing, and a solid figured maple cap. 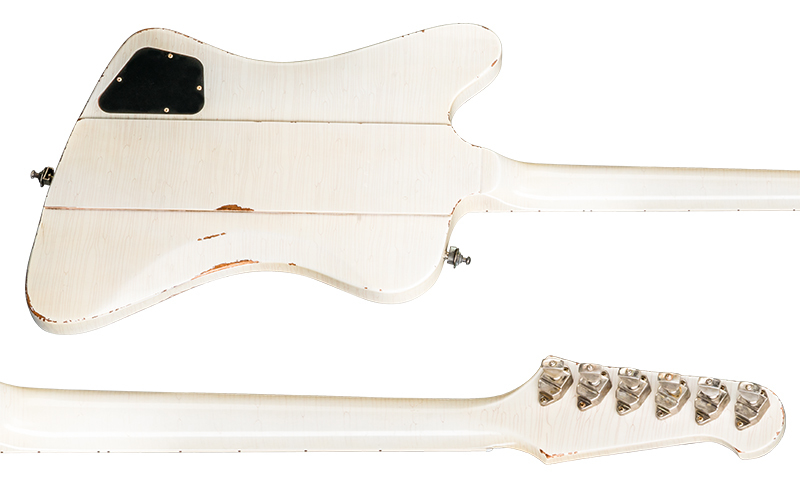 Per Slash's request, the Custom Shop hand-aged these with vintage-accurate checking and wear to the thin nitrocellulose lacquer finish. 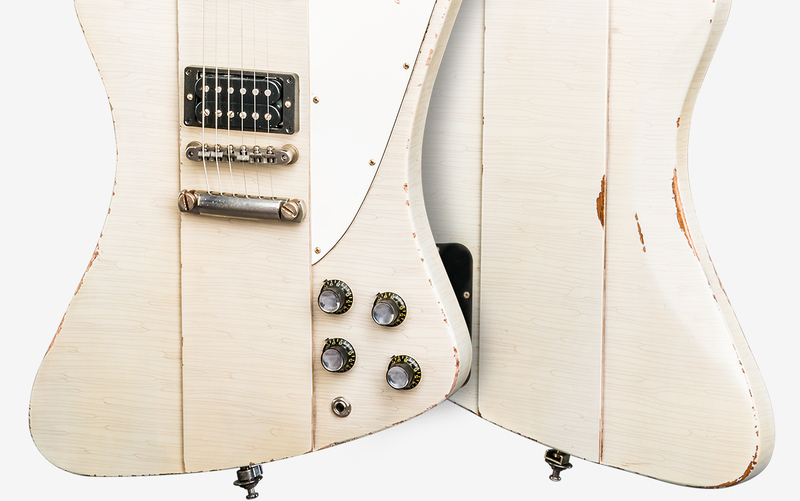 Each features Slash's custom specs throughout as well as exclusive hot-stamped Slash pickguard artwork. 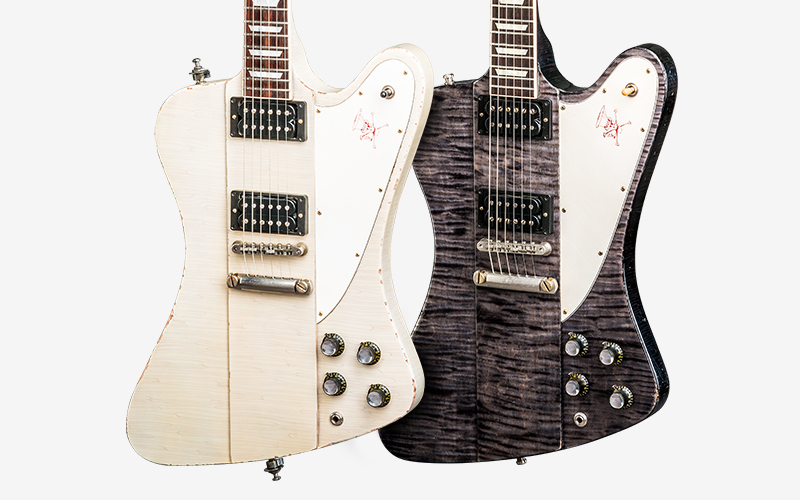 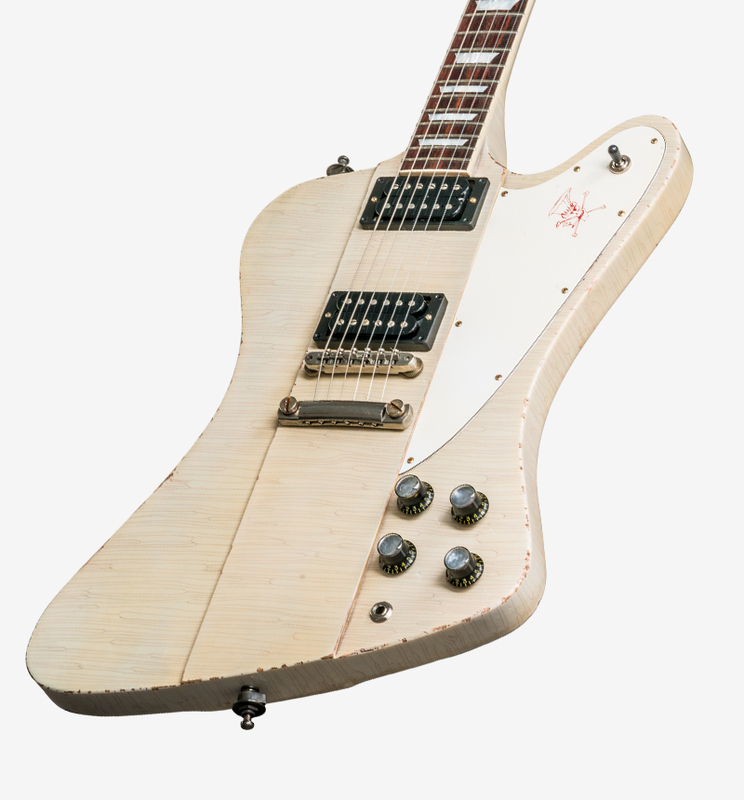 With only 25 of each being made, these Slash Firebirds are instantly some of the most collectible artist models Gibson Custom has ever created.